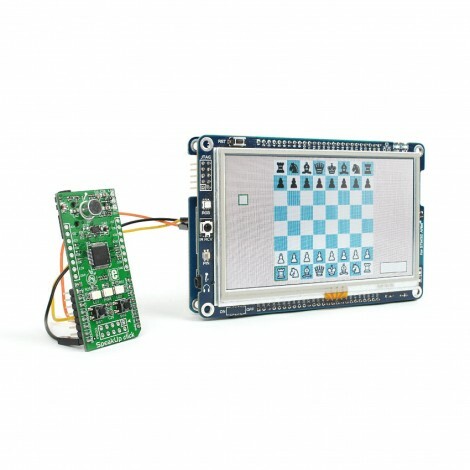 We challenge you to beat an STM32 it in a blitz game. Our chief of software can do it fairly consistently. How well will you fare? You can use the SpeakUp to speak out your moves while you skim a book on chess openings. 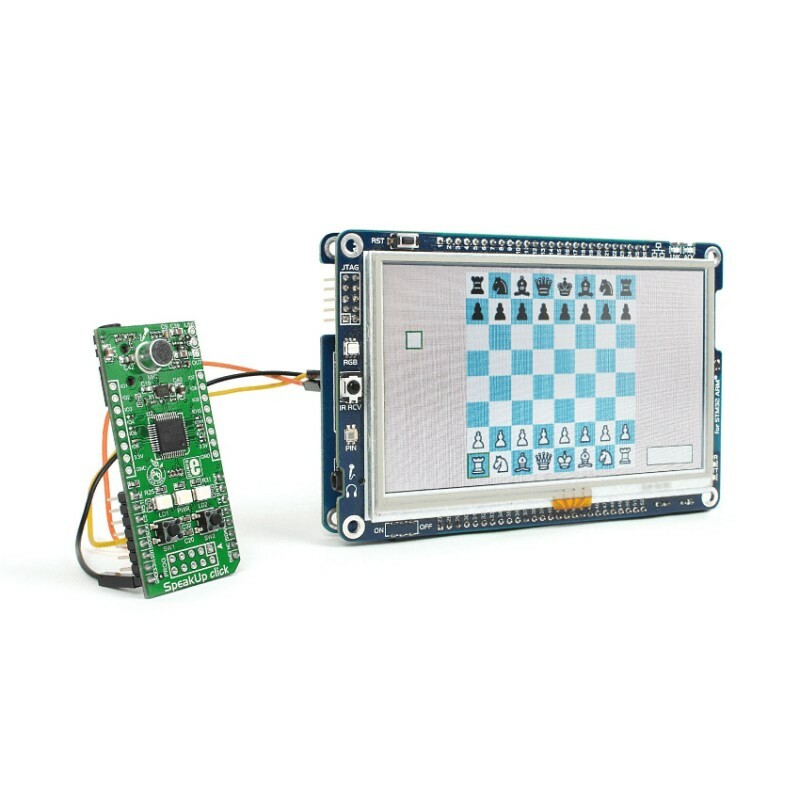 Challenge the MCU on your mikromedia plus for STM32 to a game of chess. The game is adapted from the Fairy-Max chess engine. You can also pair it with SpeakUp click and speak your moves. You'll need a shield for your mikromedia and a set of wire jumpers to do that. It's a simple setup because the commands are sent over UART indexes. Just record columns (best to use a phonetic alphabet like Alpha, Bravo, Charlie and so forth) followed by rows (1-8). So you'll start with Index 0 in the SpeakUp software and record "Alpha", and end with Index 15 and a recording of "eight". See how it works in the video. It plays quite good considering it's a single MCU with no additional memory. Try and beat it. Or try tinkering with the code to make it even stronger.